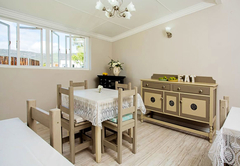 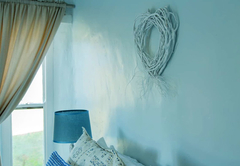 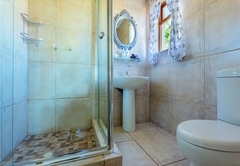 Shanzeley Guest House is a property providing self catering in George for tourists visiting the Garden Route region. 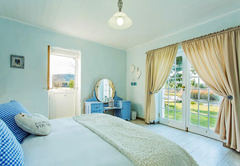 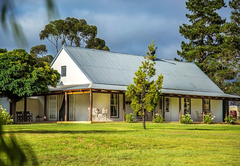 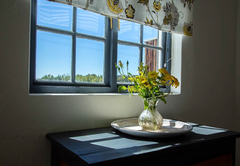 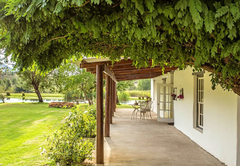 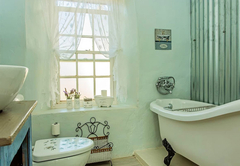 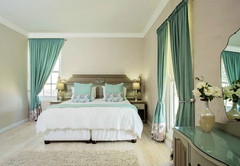 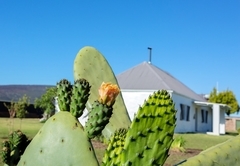 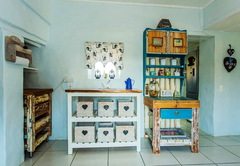 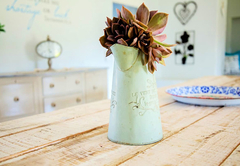 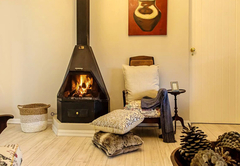 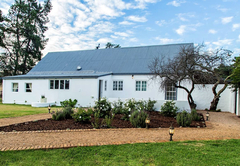 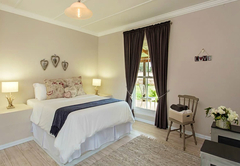 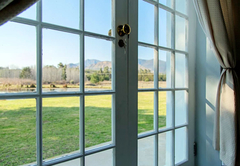 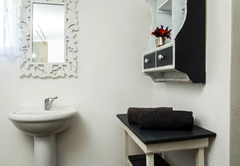 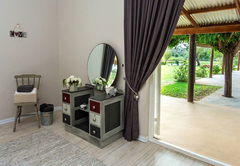 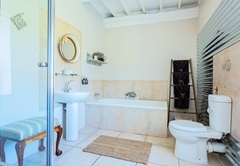 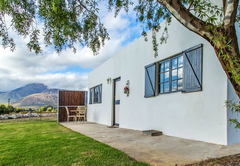 Shanzeley Guest House offers comfortable accommodation in George in four separate units for up to 22 guests and is situated in Upper Langkloof, 64 kilometers outside of George. 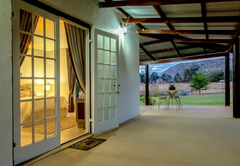 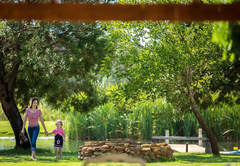 Here you aren't near to the city life and are in a tranquil environment. 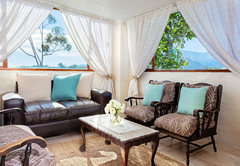 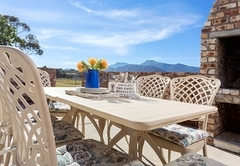 Shanzeley Guest House self catering cottages are furnished with a verandah / patio that boasts views of the mountain. 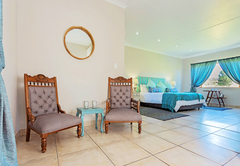 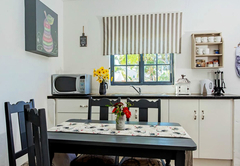 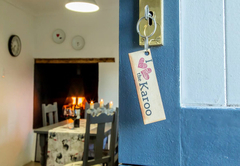 This three bedroom unit sleeps up to eight guests and is furnished with en-suite bathrooms. 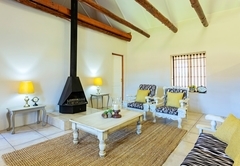 The living area has an indoor fireplace and a fully equipped kitchen. 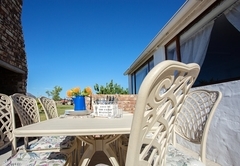 Outside there is a boma area for braaing. 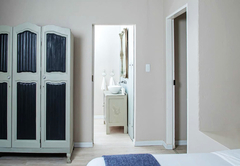 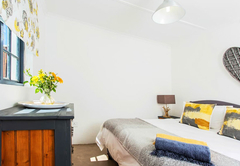 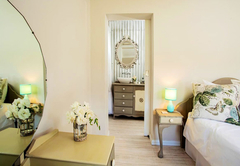 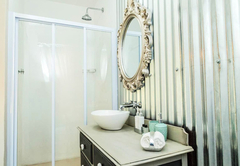 This unit sleeps two guests in one bedroom with an en-suite bathroom. 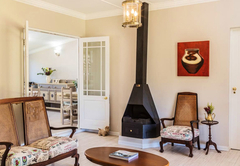 There is an open plan living area with an indoor fireplace and a fully equipped kitchen. 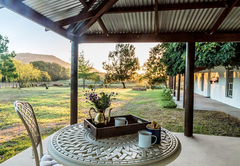 Outside there is a portable braai / BBQ. 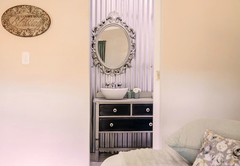 This unit sleeps four guests in one bedroom with an en-suite bathroom. 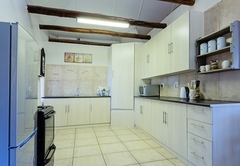 There is a fully equipped kitchen and an open plan living area with an indoor fireplace. 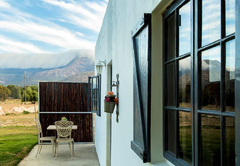 Outside there is a boma for a braai / BBQ. 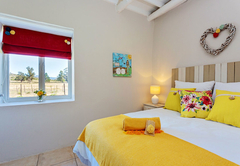 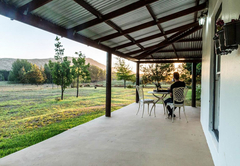 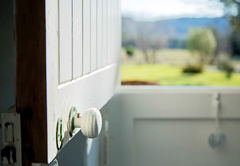 This unit sleeps up to eight guests in three bedrooms and two bathrooms. 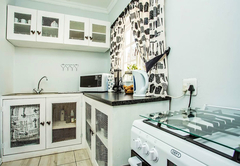 There is a fully equipped kitchen with an oven, microwave, toaster, stove, fridge / freezer and a kettle. 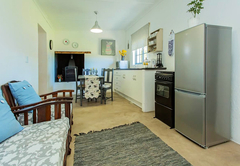 Shanzeley Guest House: 3 bedrooms with en-suite bathrooms, 1 guest toilet, full kitchen, dining room, living area with indoor fireplace, boma for braaing. 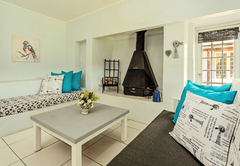 Shanzeley Cottage: 1 bedroom, 1 bathroom, open-plan living room/dining room/kitchen with indoor fireplace as well as portable outdoor braai. 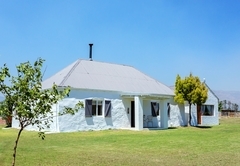 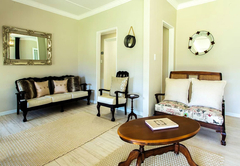 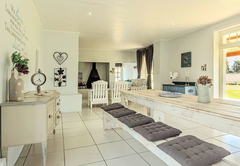 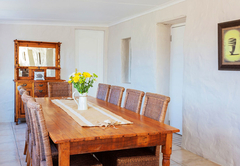 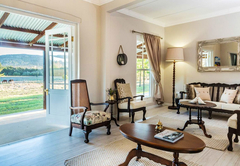 Self-Catering French Colonial style Farm House, offering 3 bedrooms, 2 bathrooms and ample living space. 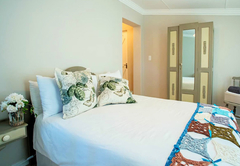 Response timeShanzeley Guest House typically responds to requests in 5-10 minutes.